Building a mindful organization requires a sense of understanding where you are, where you came from and where you’re going. The first step is grounding your organization and learning about — and (re)creating your point of origin. In 1806, what became the city of Detroit, Michigan was first designed and conceived. Unlike other cities, Detroit clearly defined itself by its geography explicitly and sought to build everything around a single point of origin. 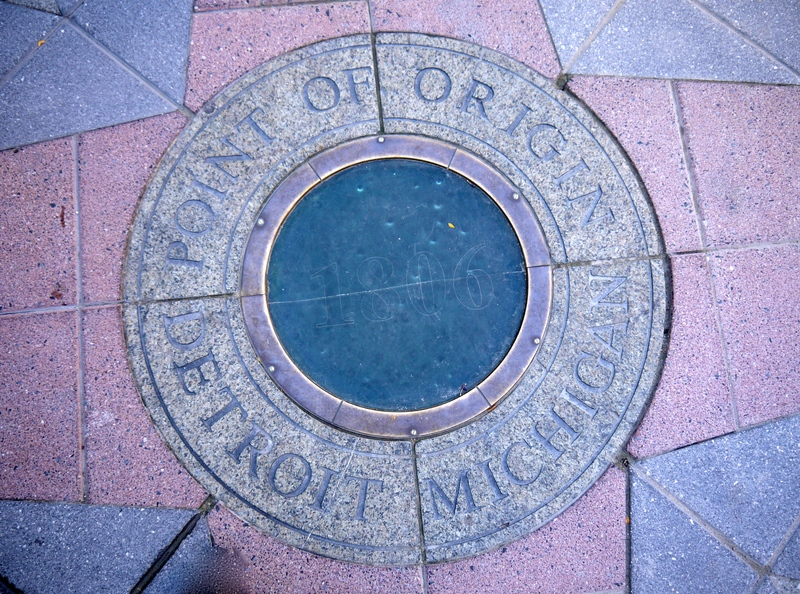 It is for this reason that there are roads such as 6 mile, 7 mile, and the popularized 8 mile to mark actual distances from this central point in the city. The marker and monument photographed above serves as a reminder of Detroit’s history and offers a place to gain perspective on its present and increasingly its future as it undergoes a serious remake. As a city, Detroit is seeking to re-ground itself as it looks forward by looking to the past and present at the same time. It is a city looking to recapture the entrepreneurial spirit that made it into one of the world’s great manufacturing centres in the early to mid 1900’s in a way that is more socially integrative than it was before. In a previous post, I highlighted eight stages to creating a mindful organization, one that is aware and conscious of itself and the systems its a part of. Grounding is the first step. 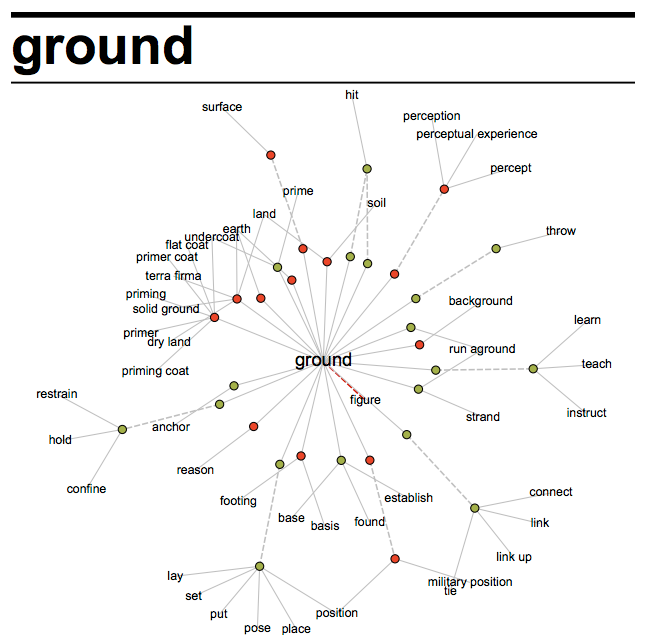 Below is a look at the different ways the term ground can be used. It’s important to note connection between the solidity of the terms, perception, place, and connection. Grounding means all of these. At the heart of grounding is mindfulness: being fully aware of one’s self and setting in the context of the present moment. While mindfulness is about paying attention to the present moment, but not at the expense of the past, nor is it about inattention to intention moving forward. It is about being aware of the moment-by-moment connections between the person or organization and what is being experienced. Mindfulness has many paradoxical elements to it, which is one reason it works well with complexity, which has its own paradoxes as well. Mindfulness is a means of establishing that connection to our ground — whatever that might be. Grounding might be in community, fields of practice, time, markets or populations of interest or engagement and most likely is some combination of these. 1. Do you have a detailed, articulated strategy for your work linked to some clear purpose? (In other words: do you know what the point of your work is and what you’re trying to accomplish?). The role of intention in mindful practice is enormous and being clear on what is intended from the work and being aware of that intention while the work is being performed is a key factor. 2. Do you have a means of matching your intentions and strategy to the work that you are doing? Many organizations have goals and visions, but no ongoing monitoring and evaluation methods to assess whether or not they are actually doing this work. This will be discussed in a future post, but it is worthwhile to ask early whether there is a means of assess what work you are actually doing? 3. Is your ground solid? This question looks at the logic of your enterprise. Whether you are a for-profit, not-for-profit, charity or some other enterprise there needs to be a solid connection between what you do, your products and services, and markets, partners, resources and income streams you have available. The Business Model Canvas is a tool that can help expose the logic — and the gaps in it — of your organization’s work. The canvas was an crowd-consulted, co-created initiative led by Alex Osterwalder that worked through a series of iterations to create a simple, easy-to-use framework for linking the various components of your organization’s mission together. By being aware of the logic of your business you’re able to be mindful of how those activities connect to your purpose, intentions and aspirations. 4. What will solidify your ground (i.e. : what has value?)? Dave Snowden from Cognitive Edge is critical of the approach of naming values as an organization. Snowden asserts that once values are named, they are summarily ignored. Value statements are useless unless they truly express some form of value, that is reflect where investment, decisions and actions of the organizations are placed. If one is acting with intention and a clear grounding, then these values become evident and the need to express them seems moot. A further problem is that the social pressures to name values that are acceptable (rather than consistent with practice) mean that we often find organizations with operationally meaningless values. If you don’t know what values like “inclusiveness”, “respect for diversity”, “participation” and “learning organizations” really mean in practice as well as intention, they don’t serve your enterprise. 5. How committed are you to standing your ground? Wherever your organization chooses to stand, that is the system that it will see. Once grounded, many path dependencies are set in motion, which will determine how aligned what you do, say, seek, and find in the future. In complex systems it is critical to have some flexibility in boundaries, however they must be set somewhere. Consider what it is that you value and whether you are committed as an organization to doing what you say and aspire towards. Visionary companies come from alignment between what the leaders say and what everyone does. It’s never too late to ask yourself these questions whether you’re starting up or seeking to re-establish yourself or create a new path forward. 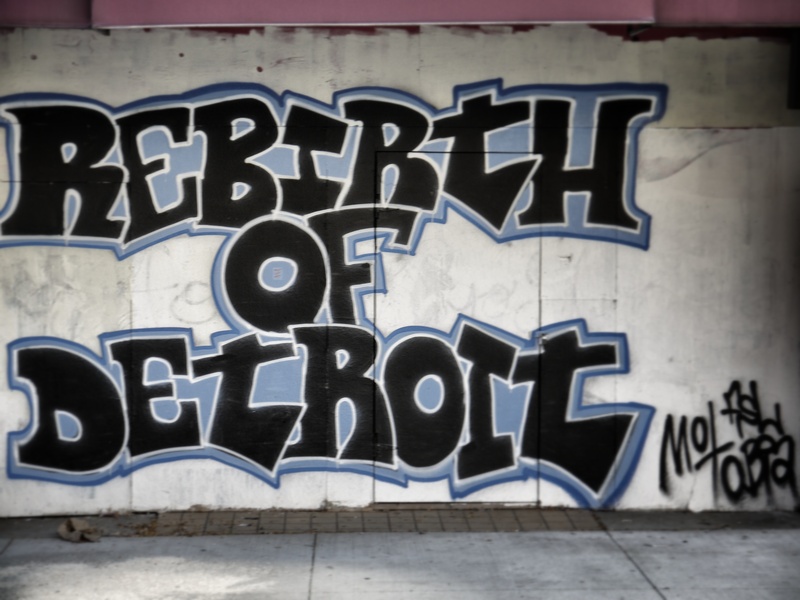 Just like Detroit, there is always a chance for re-birth. And just like Detroit, you’ll have that point to launch from and look back at to help you wayfind as you engage in complexity through your work. As we will see, knowing where you start from will help determine where you go.